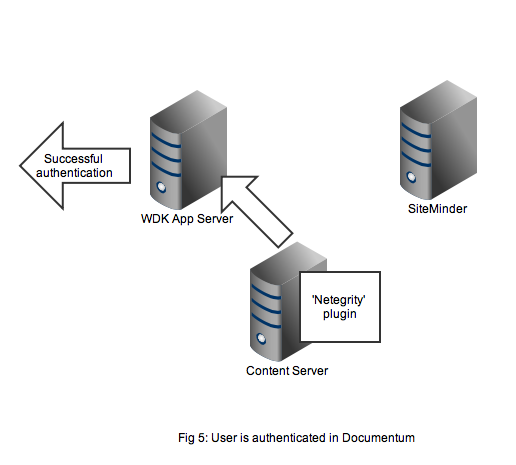 The 1st part of this article introduced the motivation and architecture behind web-based Single Signon systems and Documentum’s SSO plugin. This 2nd part of the article discusses limitations in the out of the box plugin and a customisation approach to deal with the issue. Whilst SSO is a great boon when you just want to login and get on with some work there are situations when it is positively unwanted. A case in point is electronic sign off of documents in systems like Documentum Compliance Manager (DCM). The document signoff screens in DCM require entry of a username and password (a GxP requirement) yet the out-of-the-box netegrity plugin only understands SSO cookies, it doesn’t know what to do with passwords. Sm_AgentApi_Init(). Sets up the connection to the SiteMinder server. Sm_AgentApi_DoManagement(). “Best practice” call to the SiteMinder server passing an authentication agent identifications string: Product=DocumentumAgent,Platform=All,Version=5.2,Label=None. Sm_AgentApi_DecodeSSOToken(). 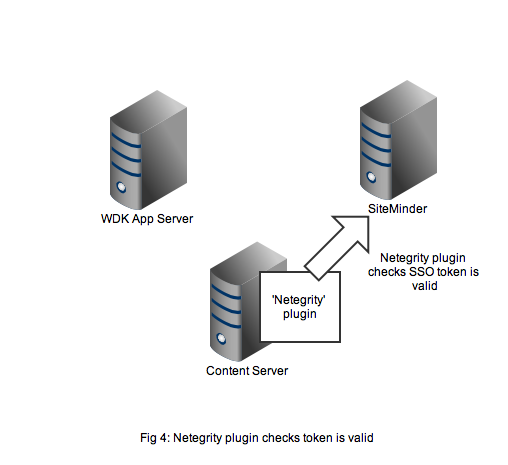 Passes the SSO token to SiteMinder to confirm that the token is valid i.e. that it has been produced by that SiteMinder infrastructure. If the call returns a success code then the token is valid. A session specification is also returned to the calling program – this is the identifier that connects the SSO token to the session originally created on the SiteMinder infrastructure. Sm_AgentApi_IsProtected(). 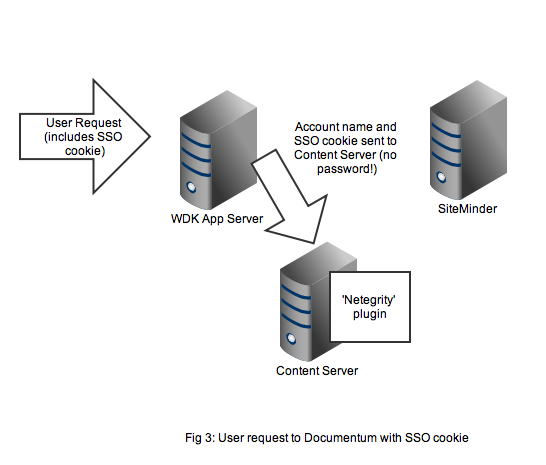 Checks whether SiteMinder regards the web application context as a protected resource. This call is probably needed to fill in a data structure that is used in the in the next call. Sm_AgentApi_Login(). One of the input parameters to this call is the session specification (from step 3). If the session specification is passed then SiteMinder will will do some verification checks on the session (has it expired? is the user active?) and then return the user LDAP identifier. The plugin uses this information to check that the token is for the correct user. The out of the box (OOB) dm_netegrity plugin provided by EMC is setup to authenticate users who have previously authenticated against SiteMinder and received an SSO token in their browser session. In our case, where authentication with a username and password is required, there is no support in the DCM application for re-authenticating against the SiteMinder SSO solution. 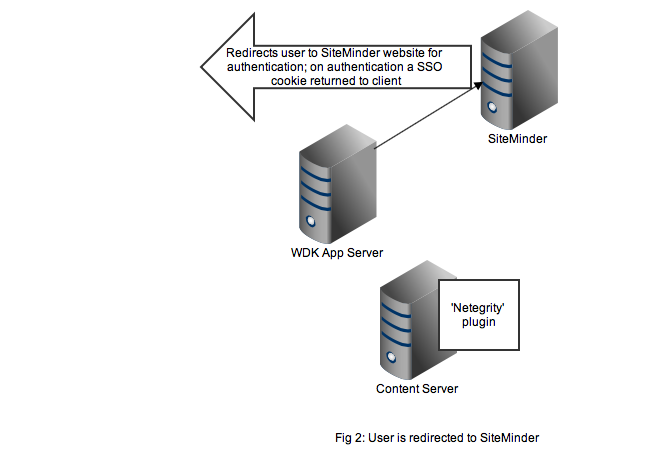 Where such authentication is attempted the OOB plugin will return an authentication failure as it is not designed to authenticate usernames and passwords against SiteMinder. One way to solve this problem is to add support in the authentication plugin for authenticating against a username and password as well as a SSO token. Since SSO tokens are very large (several hundreds of characters) whilst passwords are generally significantly smaller, we can use the length of the authentication token to decide whether the token is an SSO credential or a password. In practice something like 20 characters is a good cutoff point. If the length is greater than this limit it is treated as an SSO credential and processed as described above. If the length is 20 characters or less it is treated as a password and processed using the following API calls. Sm_AgentApi_IsProtected(). 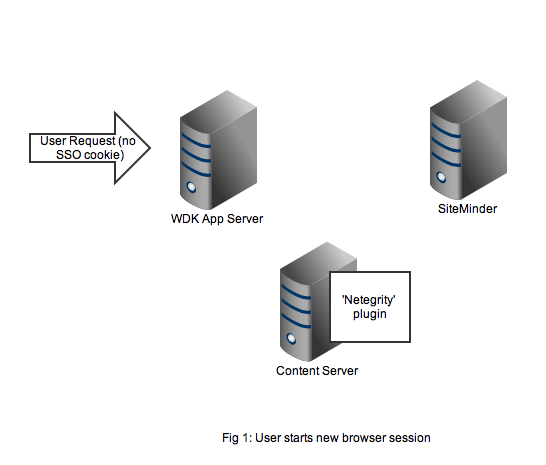 Checks whether SiteMinder regards the web application context as a protected resource. Sm_AgentApi_Login(). Since Sm_AgentApi_DecodeSSOToken() has not been called no session specification is available and is not passed into the Login call (compare the out-of-the-box logic). However if the username and password are passed to the Login function SiteMinder will validate the credentials. If a success return code is received the user is authenticated, otherwise the user is not authenticated. Source code for the out of the box plugin is provided in the Content Server installation. It is written in C++ and has a makefile that covers a number of operating systems. To get this to work for 64-bit Linux took a little manipulation of the compiler and linker options. The customisation should be deployed as a single *nix shared library. When the file is deployed to $DOCUMENTUM/dba/auth on the Content Server it is available as a dm_netegrity plugin (after a Content Server restart). Note: the out-of-the-box dm_netegrity_auth.so library must not be present in the auth directory as this will cause a conflict when the plugins are loaded by Content Server and both try to register themselves as ‘dm_netegrity’. The solution is fairly simple in concept, the devil is in the details of compile/link, deployment and testing. If you think you need to implement customised SSO for your project and want some help designing and implementing your solution please contact me for consulting work – initial advice is not charged.